This short story was written in March of 2014. Since that time, I have married my best friend & the treasure between us is now twofold & multiplied, the cracks & broken pieces somehow joining us closer together. He is walking towards me. He looks as though he is carrying a burden far beyond his strength. But, as I take a closer look, I see that he is cradling something in his hands. It’s fragile. I can tell by the way he protects it with his eyes and his fingers. Everything about the way he holds this treasure captivates me. Slowly, but fully. I continue on my way, avoiding his gaze. Perhaps, we will meet again. I am not sure. I don’t know these things after all. I keep walking. Several days pass before I see him again. This time he walks with more purpose, holding his treasure as though the world is charging to take it from him…and perhaps in many ways, it is. I keep walking, once again trying to avoid conversation. Why do I do that? We walk for a little while in silence, then the questions come one by one. Sometimes, the questions come three at once, but we just laugh when that happens. The sun is setting and it is time for me to go. Before I leave he says, “Can we do this again tomorrow?” I have no objections. The sun sets. The stars glisten. The sun rises. I am on my way again. I meet him at the corner of his favorite street. The conversation is easier today. He tells jokes freely. I laugh, unbridled. But today, I notice something alarming. His treasure, the one he holds so dearly, has moved closer to me. I still cannot see it directly, but I know that it has moved closer and closer to me. He asks me why I look so concerned. I push aside his question with another story from my childhood. We walk like this for days. Just talking and laughing, moving about our time together. His treasure inching ever closer to me, my curiosity growing. We walk a couple more days, but now we walk in silence. Because, silence is comfortable. We don’t need the words or even the laughter. We simply need the companionship. I am shocked, but as I look down at my hands….I see that they are indeed reaching to this man. And then I realize, my treasure is the same as his. The treasure within our hands is our heart. 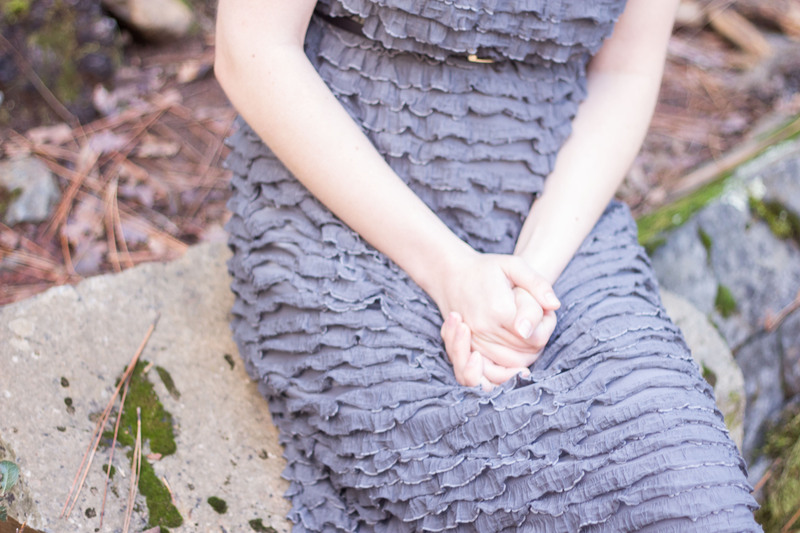 I stare down at my hands, I look to his. I realize how easily and unknowingly, I was giving my heart away. And, how alarmingly close his heart was to my hands. I can tell by the shock written across his face that he is realizing the same thing as me. These are not just hearts…..these hearts are glass. They are easily broken. They are meant to be broken. I can’t just hand my heart to anyone. It’s not that I am afraid of my heart breaking. My heart is glass, it is supposed to break. But I want it to break for the right reasons and at the right time. Immediately, my hand tightens around my treasure. I can’t give this away just yet. I know that it isn’t time. I see his hands tighten over his treasure as well, and I am not offended. Hearts should be protected. Many thoughts run through my mind, all of which, I hold to myself. However, he speaks them. I am sure that our time will come, but for now we pull our hearts closer to us. 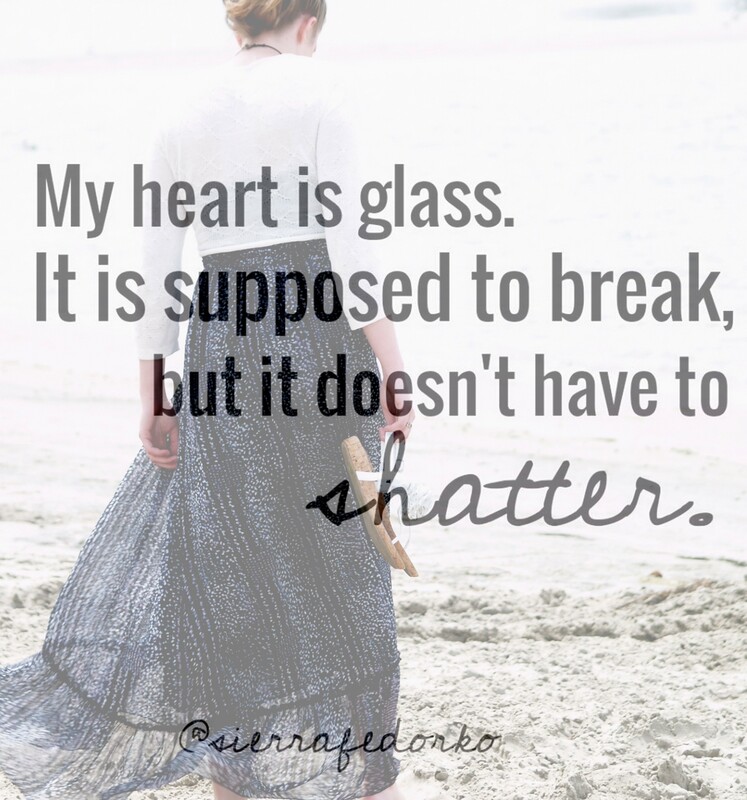 I know that glass breaks, but I also know that it does not have to shatter. Thank you for taking the time to read this. 🙂 It’s a story that I hope reaches many girls, if only to make them think before giving away their hearts too soon. So precious!! I hope this reaches out to many young ladies. Thank you so much for reading! I hope it reaches many young ladies as well, Mrs. Pam.